The sun is the biggest factor of how the skin ages. Exposure to UV radiation from the sun or tanning beds triggers melanocyte cells to increase melanin production to help shield your skin from the sun’s rays. Melanin is the pigment that gives our skin its color and is our body’s natural defense against the sun. 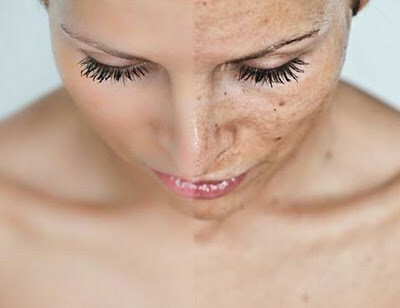 However, excessive sun exposure can cause DNA damage to melanocytes, which can lead to the development of skin cancer and pigmentation problems. Additional signs of damage and premature aging include sagging and wrinkling, which occur due to the break down of collagen and elastin. The enzymes collagenase and elastase help protect our body’s collagen and elastin stores, however UV radiation stimulates an enzyme overproduction which destroys these vital connective tissue proteins. It is imperative to wear broad spectrum SPF daily, regardless of the season to prevent permanent skin damage. Our Skin Smoothing BB Cream is SPF 30, oil free, and the perfect primer for UV protection and makeup application. Our Everyday SPF 30 is chemical free and can be used on its own or after serum and moisturizer application.